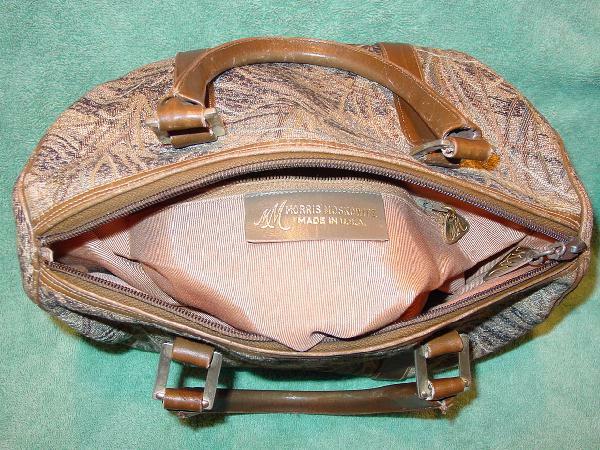 This never used vintage doctor's bag style purse has a tapestry fabric exterior and a peachy-cocoa thick grosgrain fabric lining with a deep interior zippered pocket. Both the interior and exterior zipper have cutout double M's. Morris Moskowitz is etched in gold-tone on the leather logo tag inside. 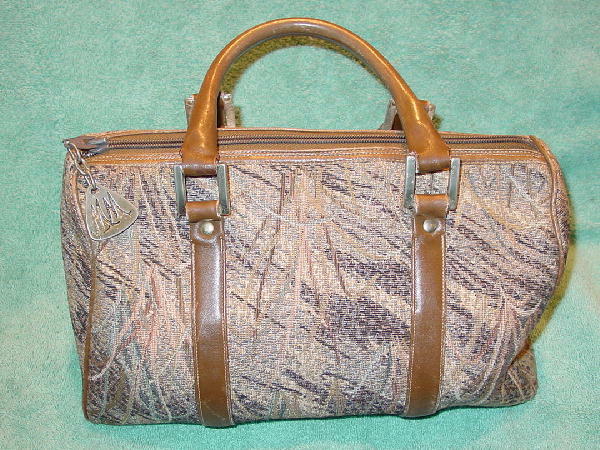 The two 12" handles and trim are in brown leather which has that "well-loved" look. The stylist said she forgot about it and it sat in the back of her closet and got "pushed" around a lot over the years. The bottom has 4 little gold-tone feet.